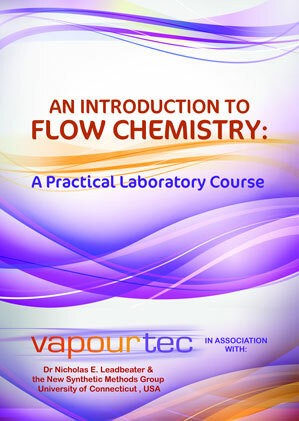 Vapourtec’s Flow Commander™ software has always featured the facility to ensure correct collection of the reagent peak when the plug of reagents passes through. There is a computer model which predicts the axial dispersion that takes place with tube reactors, so that it is possible to automatically collect the steady state part of the reaction product peak when it emerges from the reactor. Dispersion modelling is an improtant tool in accuratley running reactions and being confident that what you are collecting is the expected concentration AND the expected reagent mixture. 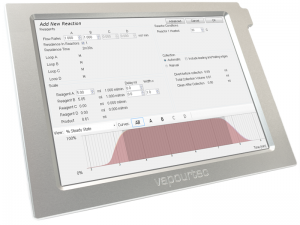 Vapourtec’s Flow Commander™ software is a well engineered solution to the effects of dispersion and product collection in multiple reactors with various stoichiometric ratios. For more information on dispersion modelling and the power of Flow Commander™ please contact our sales team using the links below.